Theme: There’s a whole different world beneath the sea, especially where there’s a living coral reef. 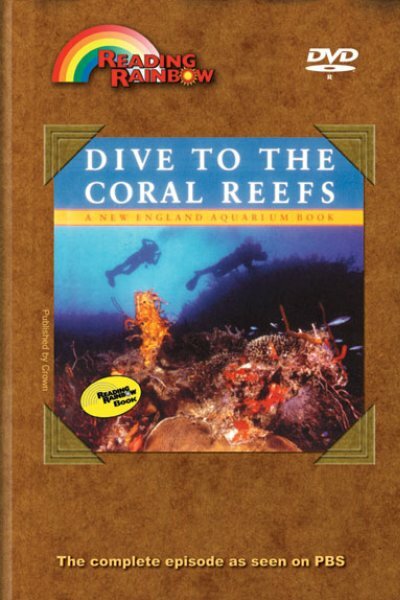 This feature book describes the formation of coral reefs and the many plants and animals that live in and around these underwater communities. LeVar is inspired by the book to learn more about the world of coral reefs, so he dons diving gear and gives viewers a tour of the National Marine Sanctuary, an underwater park in Florida. Viewers also meet a "reef doctor" who shows how he restores life to damaged reefs by transplanting living coral. LeVar Takes a Dive - LeVar and Ranger Mike White explore the National Marine Sanctuary, an underwater park off the coast of Key Largo, Florida. Meet the Reef Doctor - Scientist Harold Hudson, "The Reef Doctor" works with Paige and Elizabeth to transplant coral from one underwater location to another. Review Books – How to Hide an Octopus and Other Sea Creatures by Ruth Hellere; I can be an Oceanographer by Paul Sipiera; Creatures of the Seaby John Christopher Fine. Use this episode to further enhance your science curriculum. Science Concepts: simulation, symbiosis,community, modeling, photosynthesis, bouyancy.